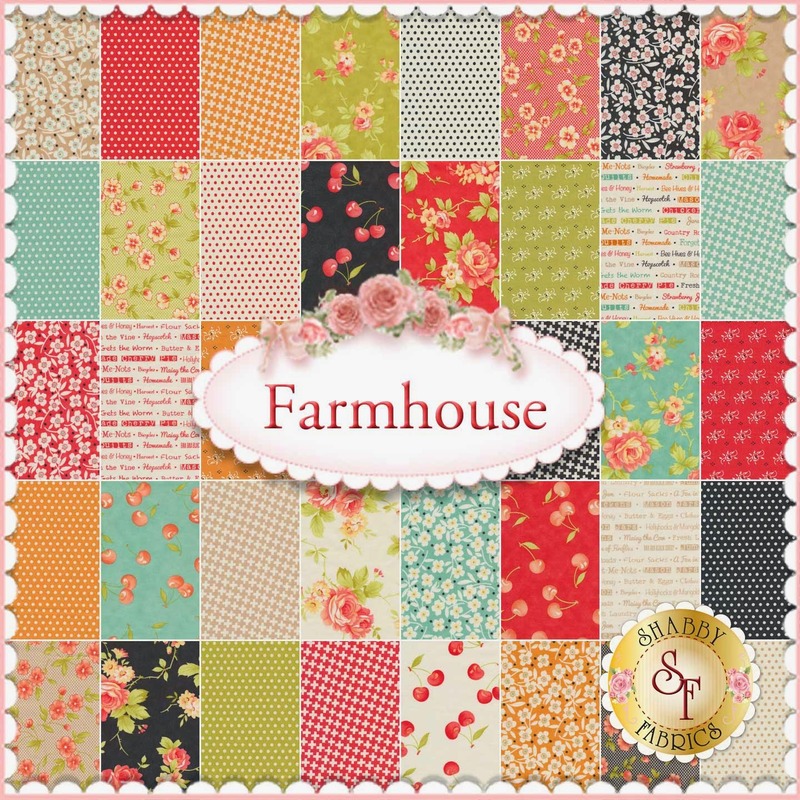 Shabby Fabrics have a little sneak peek this week at an upcoming collection: Farmhouse by Fig Tree Quilts for Moda Fabrics. 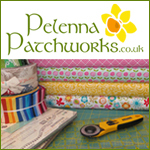 Sign up to be emailed when this product arrives to make sure you have time to get their fabric before it's all gone! 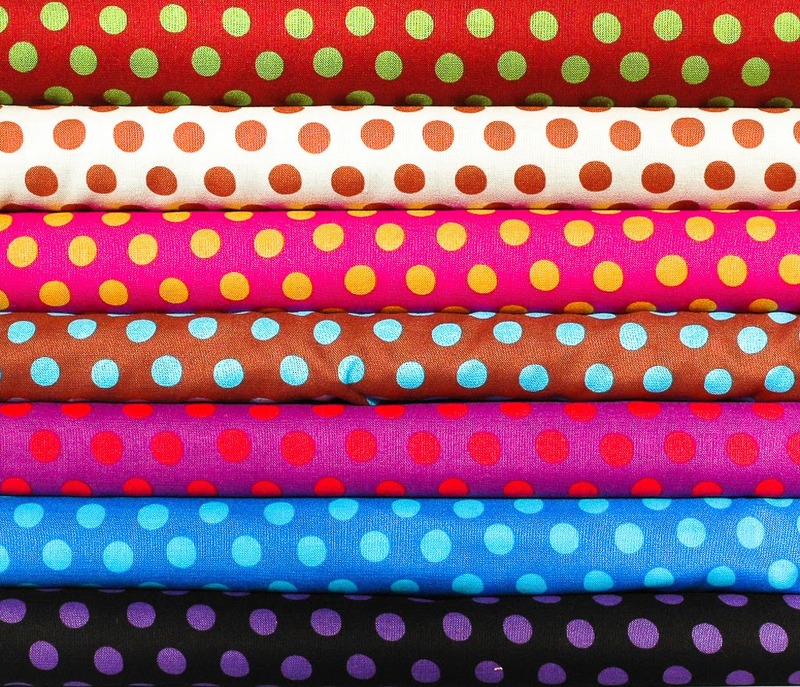 Gone to Earth have "a bit of a fabric sale" going on right now with 30% off anything as long as you use this code CGLYHDQUTOAB. 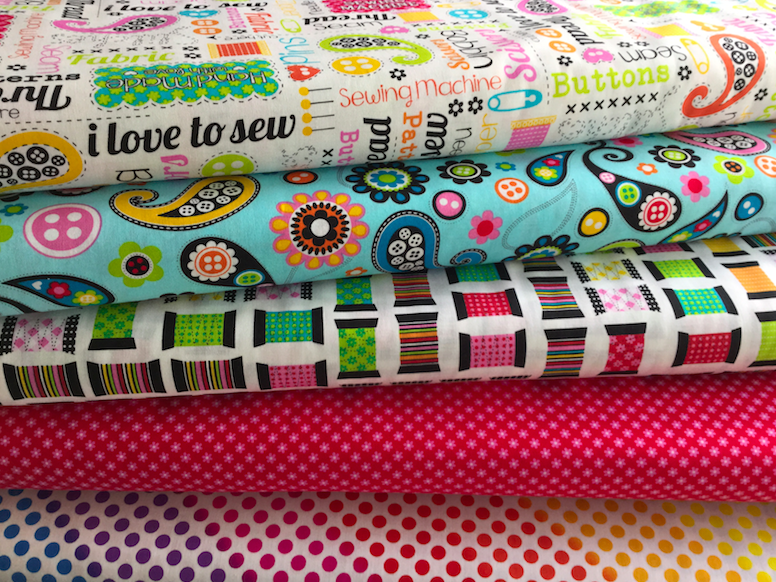 Purple Stitches have Hello Bear from Art Gallery Fabrics new in stock which have the beautiful soft hand which AGF are famous for as well as being a perfect line for any projects for kids. Oakshott Fabrics are thrilled to bring you this fabulous Chess On The Steps quilt by award-winning designer Krista Hennebury of Poppyprint. 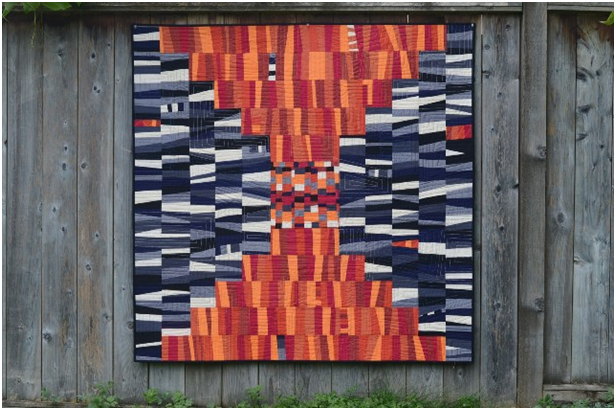 Inspired by an unnamed antique quilt, Krista’s interpretation is a colour study using five related warm and five related cool-coloured Colourshotts. 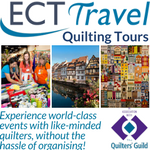 The Quilt Kit containing pre-cut fabrics and pattern is available now. 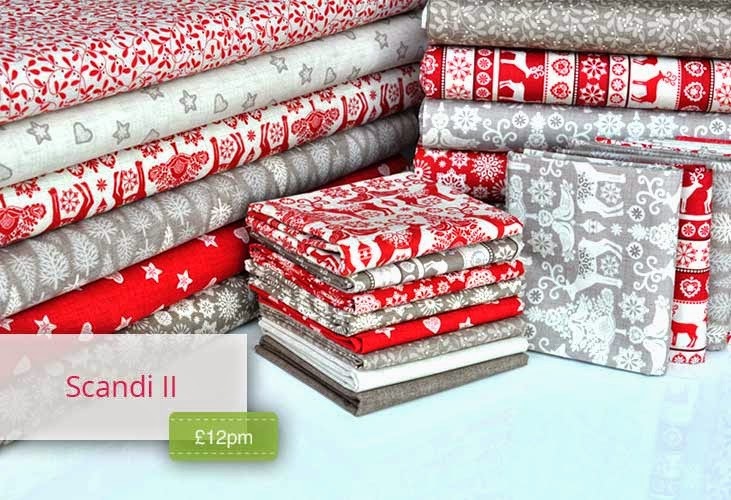 Scandi II by Makower, one of my favourite Christmas lines for this year, has just arrived in stock at Plush Addict. This has been Makower's fastest selling line this year so grab stocks while they last. 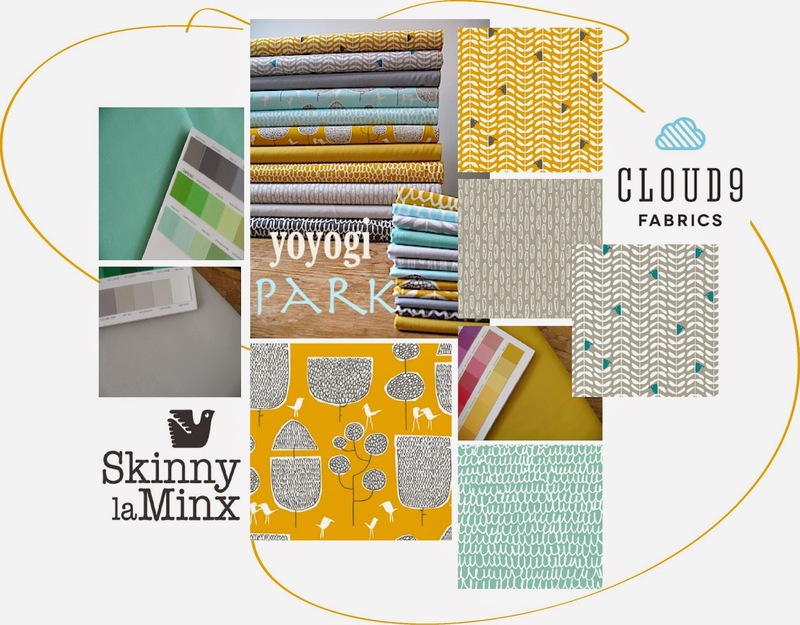 Yoyogi Park has just arrived at Celtic Fusion Fabrics, designed by skinny Laminx Cloud 9 organic fabrics. 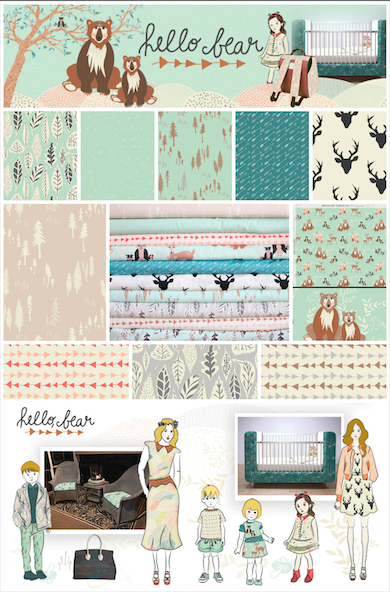 It is a lovely mix of free drawing in colours of soft turquoise, goldy mustard and cool greys. 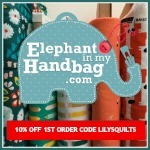 Elephant In My Handbag have the Made with Love Collection by Benartex new in stock as well as a big Easter discount weekend with 10% off purchases up to £25 with code Easter1, 12.5% off purchases between £25 and £50 with code Easter2 and 15% off orders over £50 with code Easter3. Ends Easter Monday. 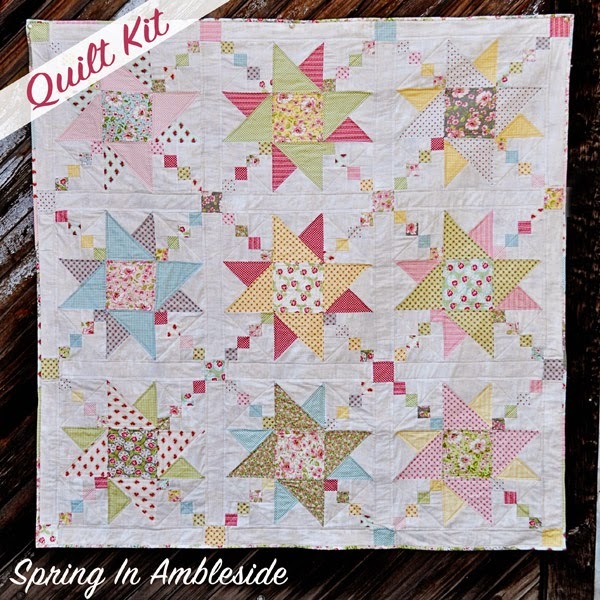 Pre-order the exclusive Spring in Ambleside Quilt Kit from Fort Worth Fabric Studio, featuring the Ambleside Collection by Moda. These kits will deliver in April! 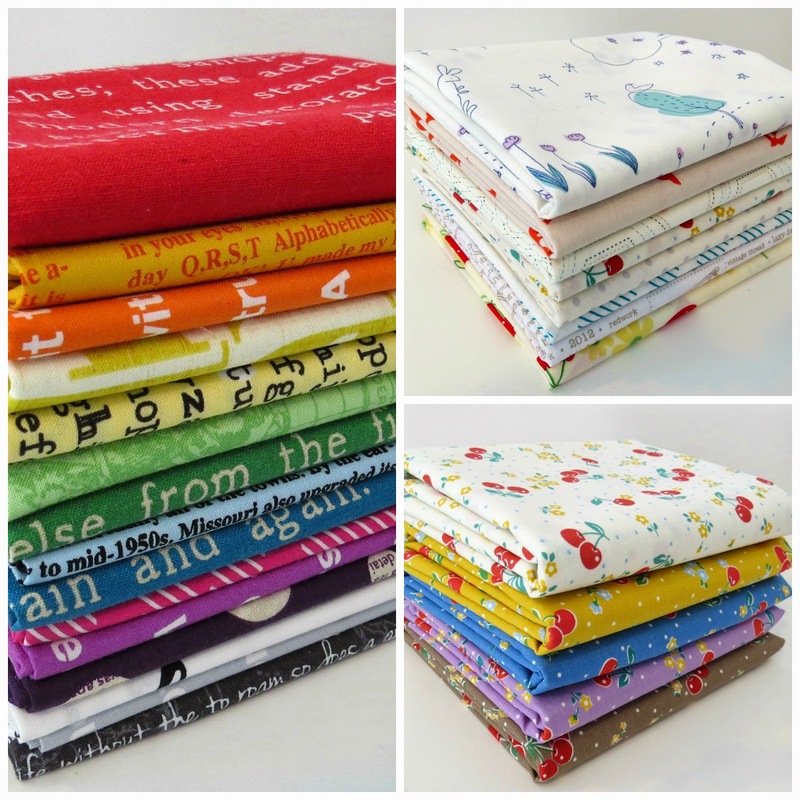 Sew Me A Song have a few new bundles in stock including a rainbow inspired text one and a new low volume.